In 1992, two brothers Musadaq Zulqarnain and Naveed Fazil along with their friend Tariq Iqbal Khan, set out to establish a company producing hosiery products in Faisalabad. Musadaq Zulqarnain, an engineer by profession was at that time employed at Sui Northern and Naveed Fazil, who had recently graduated from Oxford University in England, was having a hard time finding a suitable job back in Pakistan. It was at that time that their friend Tariq Iqbal, informed them regarding a new technology in textile manufacturing and suggested that they bring it to Pakistan and set up a hosiery manufacturing company. “At that time, we had a big property in the city which became commercial. 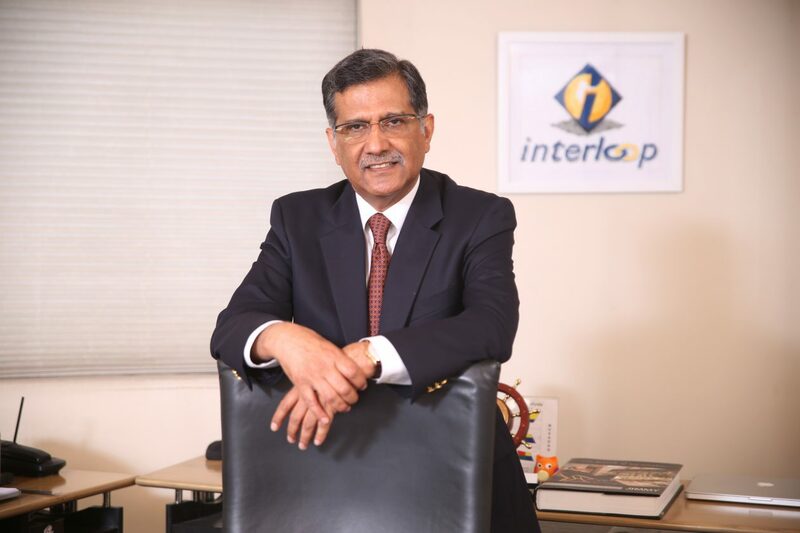 We sold a small portion of it and we invested the money into the company,” says Musadaq Zulqarnain, Chairman at Interloop Ltd, while talking to Profit. Hence Interloop was established with an investment of Rs9.35 million having 10 computerised sock knitting machines imported from Italy. “Today the market capitalization of the company is at least 4,300 times more than what we started with 26 years ago,” he says. For those of you keeping track, that means an average rate of return of 36.7% per year for the past 26 years, in Pakistan rupees, or 28.5% per year in US dollars. 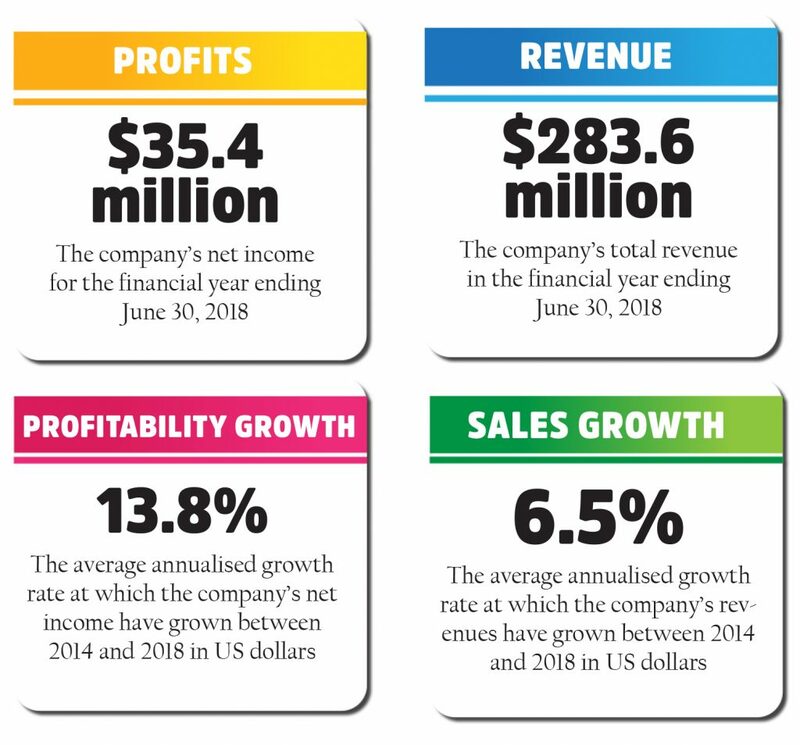 The company currently has a market value of more than $270 million and earned a revenue of Rs31.1 billion for the financial year ending June 30, 2018. It supplies hosiery products to global brands like Nike, Adidas, H&M and Puma to name a few. However, in the initial period when most businesses implement aggressive marketing and customer acquisition strategies, Interloop was lucky enough to have customers knocking on its doors. Some of the companies first customers were literally handed to it on a plate. In the 1990’s the Italian companies which had manufactured the machines bought by Interloop had sales agents in Pakistan, who were responsible for marketing the machines and bringing customers to companies who had already bought the machines. Hence, through these agents, Musadaq was introduced to a French customer. At the time, desktops and laptops were just being introduced and were a novelty in Pakistan’s textile industry and Musadaq’s passion for the machines helped set Interloop apart. “I went to the Avari Hotel to meet the customer. I opened up my laptop to show the costing and samples. At that time the textile industry worked like a cottage industry and computers were not used. So, this guy was impressed.” With time the French customer brought two new customers to Interloop, one from Korea and the other from France. “Till about 10 to 12 years back, we did not know how to market, because we had never done marketing. The main marketing effort we had to make was when we moved to the United States (US) and started selling to bigger retailers,” says Musadaq. In the US, Interloop partnered with a New Jersey-based importer which helped it increase its footprint there. In 2009, the company joined hands with a Netherlands-based firm, called Eurosox Plus, to provide marketing intelligence, design, sales and distribution services to clients in Europe. In recent years, the company has set up manufacturing facilities in Bangladesh and Srilanka to cater to its growing export market and has diversified into the dairy and the printing industry in Pakistan. Today Interloop owns more than 5,000 Italian knitting machines, employs 15,000 people with an organizational network spread over three continents. “However, even today most of the investments that we make are in Pakistan. In Sri Lanka we only have 200 to 300 machines. In Pakistan we are planning 1,200 new machines. So that shows our faith here,” says Musadaq. In March 2019, Interloop went public in Pakistan by listing 12.5% of its shares on the Pakistan Stock Exchange (PSX), raising a whopping Rs5.02 billion in what was the largest private sector initial public offering (IPO) in the country. For most people, the janitor was just carrying out his daily cleaning duties. However, the janitors response shows, that even behind the menial of tasks, there can be a much larger objective. “I’m helping to put a man on the moon,” the janitor responded. However, there was another reason for choosing this specific name as well, one that had more to do with the people who would work for the company. “At that time there was a trend that people used to name their companies after their families. But decided that we are not going to do that. We wanted everybody who works for the company, to be able to associate with the company,” he says. 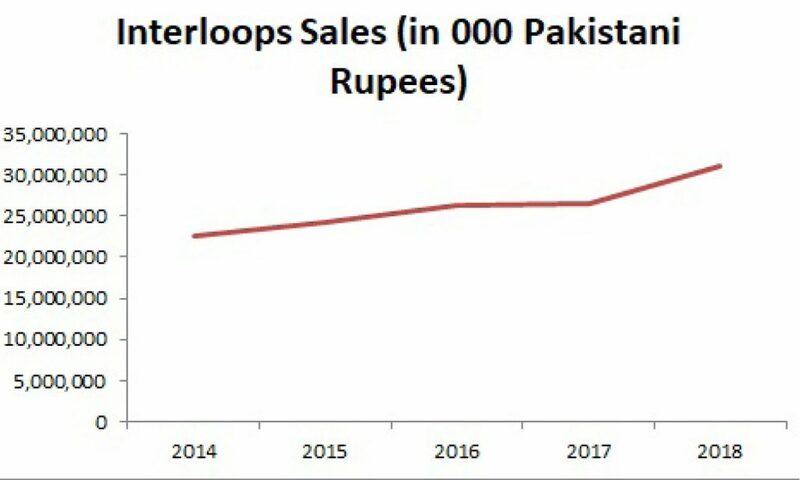 That is how interloop has been able to transform into company worth Rs40.4 billion ($288 million) from a humble start with Rs9.35 million ($348,000). Increasing efficiency and a special focus on people was the core of the strategy. “We bought the best machines. We did not do wasteful expenditure. And we planned to make processes efficient. The first four to five years were difficult, but we have tried from the first day to induct well-educated youngsters and to train them and let them do what they want,” says Musadaq. In 2011, Interloop established teams to implement lean culture at the plant level and all plant managers were trained at Apparel Innovation and Training Centre (AITC), Sri Lanka. In 2014, the Toyota Production System (TPS) was deployed to improve machine efficiency and reduce wastage. As a result, waste and work in progress was reduced, inventory turnover and quality index was improved and approximately 200,000 square feet of floor space was vacated and utilised for other functions. In 2017, the company has came up with what it calls the ‘Interloop Way’ focusing on lean manufacturing and people components consisting of standardized good practices. In Faisalabad, where a large proportion of the businesses have a seth culture, Interloop stands out as one of the very few companies with a corporate culture. “The things that we are doing are not big, it’s just that others are not doing them,” says Musadaq. Hence, the company is the go-to choice for young graduates in Faisalabad. “Every year, we recruit about 40-50 fresh candidates,” he says. What’s interesting to note is that the salaries offered to employees at the company are at best market competitive and the shareholders have refrained from taking excessive dividends, a large sum of which has been reinvested into the company over the years. “They know that the retained earnings have been invested back into the company. They know that they will grow here and that their jobs are secure. When conditions in the country were bad and textile industry was laying off people, interloop never laid anyone off,” says Musadaq. However, while salaries offered at the company may not be at the higher end of the spectrum, a host of exemplary non monetary policies have been put in place. 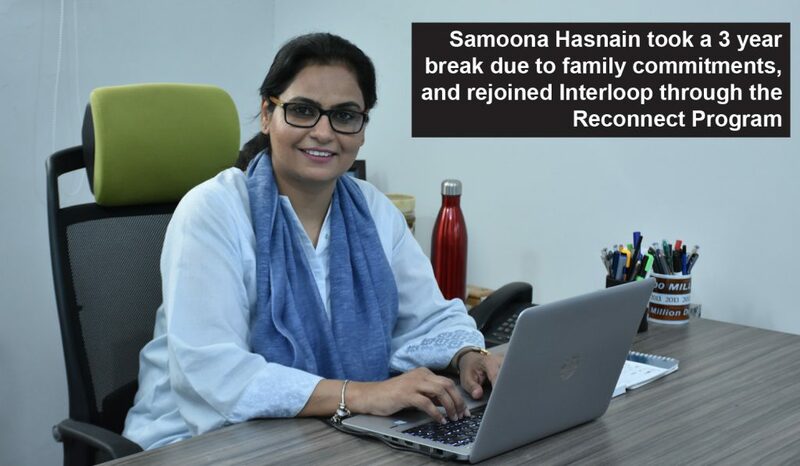 Samoona Hasnain, Manager Sales and Merchandising at Interloop, had been working at the company for 11 years when she had to quit due to her family engagements. She took a break of three years and was able to rejoin the company at the same position due to the company’s Reconnect Program that enables women to resume their careers after a break. Women with children younger than one year in age also have the facility to choose their own work days and working hours. Musadaq believes that women are usually more productive compared to men. “Very few of them would go out to smoke, gossip lessens with women, they mostly just want to work, go home and look after their kids,” he says. Interloop’s People Targets 2020, aim to increase representation of women across all levels of the workforce to 10%. Similarly, employees even get a day on their wedding anniversary and the company pays for a dinner for two. The company also offers accommodation and transportation facility and subsidised meals for the employees. “We have hostels in Lahore. For female executives we also have a colony in Faisalabad. However, only employees working out of station get accommodation. For the rest we provide transportation inside a big radius,” says Musadaq. Women and men coming to work at Interloop have access to international standard child care rooms with qualified kindergarten teacher. “They are not just child care room, they are pre kindergarten where kids from 6 months to 6 years old can come,” he says. Interloop conducted its first employee engagement survey in 2013, followed by a second survey in 2015, that showed the employee engagement index at 64%, an overall increase of 3% in two years. According to the survey conducted in 2018, overall satisfaction of employees stood at 83%. The company currently has net sales of $283.6 million and produces 600 million pairs of socks and tights, 26 million kilograms of yarn and 4.5 million kilograms of dyed yarn/filament annually. With the IPO proceeds the company plans to expand its existing hosiery business and set up a denim manufacturing plant in the country. By 2020, it plans to increase net sales to $450 million and increase annual production to 750 million pairs of socks and tights, 10 million garments of denim, 15 million pieces of active wear, 30 million kilograms of yarn, 6.5 million kgs of dyed yarn/filament. “Pakistan is one of the major countries of origin for denim. We are also expanding in hosiery (socks and leggings) while already being one of the top manufacturers of this category in the world. Denim has a huge potential and will complement our overall sales,” says Musadaq. “China is getting expensive and China’s domestic denim consumption is increasing. People want to move out from China. Pakistan’s share of the denim market is only 3-3.5%. Why can’t we increase it to 10%,” he says. Takeaway is; Interloop educate from his B2B customers (Nike, Adidas, Puma, H&M) & Toyota management system, in this way Interloop touched the climax of its success. On a gentle note (CSR), we raise our request that Interloop may initiate a program for the “STARTUPS” to contribute in better Pakistan. for sure, the company will take advantage of pool consultants (already onboard) & shall seriously look into the matter and handhold the startups for their development.